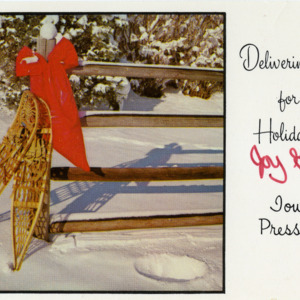 This holiday greeting card was sent out by the Iowa City Press-Citizen. 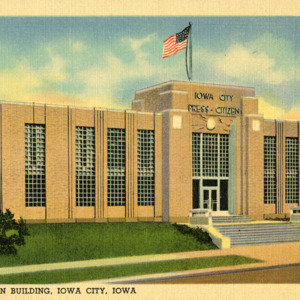 The location of the Press-Citizen Building at the time of this postcard was at 319 East Washington Street and opened on 1937. Postcard sent to Betty Marble, postmarked July 13, 1941. George Washington 1-Cent stamp.